Business use of the home is a business deduction, but only if the office portion of your home is used regularly and exclusively for business. An office cannot be used for your writing or blogging business and used by your family for personal use and be eligible for the tax deduction. 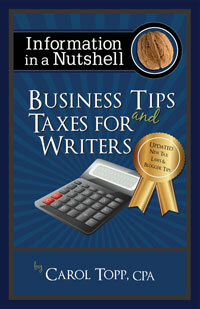 Many authors or bloggers may regularly use their office, but find the exclusive requirement to be difficult to meet and therefore are not eligible for the business use of the home deduction. Sorry! True Story: I worked from my home office for ten years, but never took the business use of the home deduction because my daughters and husband also used my office.When the kids moved out my office became exclusive and I’ve started taking the home office deduction. It’s been updated to include the new tax law changes in 2018! How picky is the home office deduction? I want to go to Montana to write. Is it a tax deduction?